Sasha is officially three years old today! When we registered Sasha with the AKC via their Purebred Alternative Listing (PAL) program, we opted to rely on the veterinarian’s estimate of her age because the details of her life before she came to us are largely unknown. We chose July 4th for her “official” birthday and she’s now formally recognized as Ozark Summer Highlands Sasha. The PAL program is intended for purebred dogs of AKC-recognized breeds who, for various reasons, had not been registered with the organization. Registration means that Sasha is eligible to participate in AKC events such as Agility and Rally Obedience which both promote performance skills and opportunities for handlers and dogs to work as a team. If you’re interested in the PAL program, you can find eligibility details here. And if you’d like to learn more about AKC’s Reunite (a lost pet recovery program) and microchipping, click here. Sasha enjoyed a smidgen of feta cheese with her morning meal and will munch on cucumber (a BIG favorite) at dinner time. We’ll round out the day’s celebration with backyard frolics and be safely indoors long before fireworks boom across the county again. Happy birthday, sweet dog! 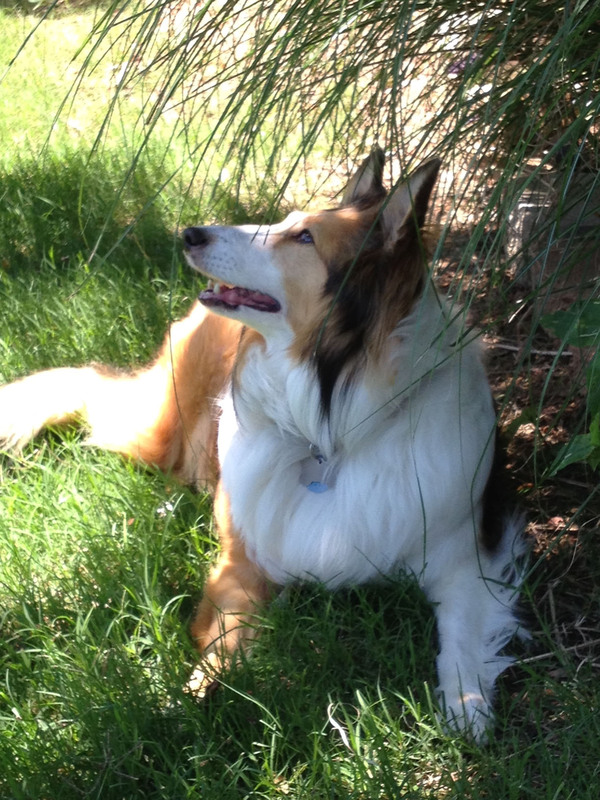 This entry was posted in Dogs!, Home page and tagged AKC PAL program, AKC Reunite, American Kennel Club, Microchipping, Ozark Summer Highlands Sasha, Shetland Sheepdogs. Bookmark the permalink. Congratulations to Shasha and yourself for doing the red type. Good luck in future advents. Thanks, Susan. She definitely knew it was a Big Day! Yeah, Sasha, so glad you could cross paths with Susan and get a day to celebrate your being. Wishing you many more birthday parties.